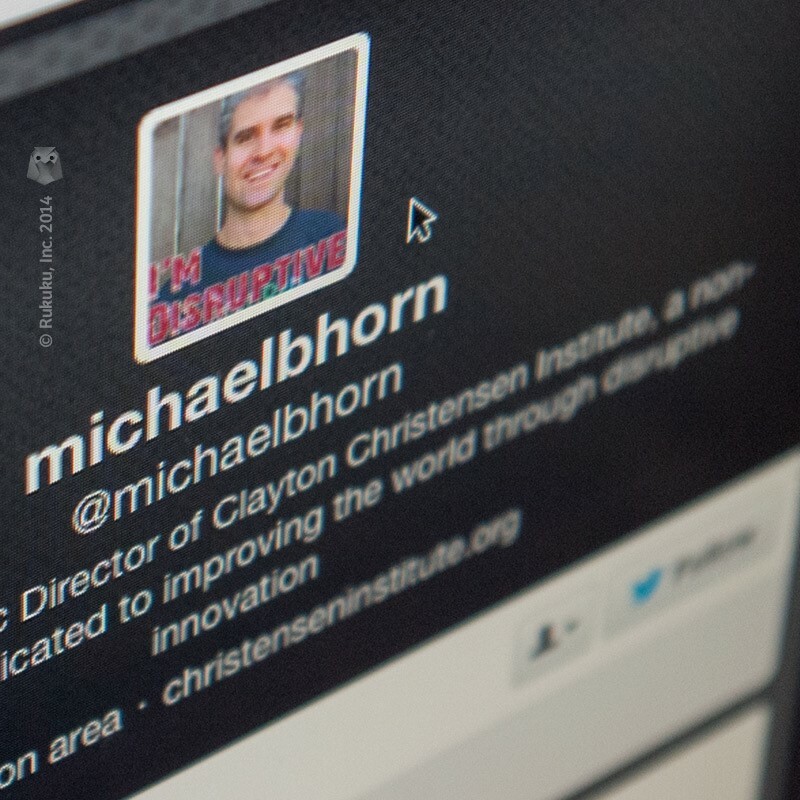 Michael Horn is co-founder of the Clayton Christensen Institute and serves as the executive director of its education program. In 2008, he co-authored the award-winning book, Disrupting Class: How Innovation Will Change the Way the World Learns. 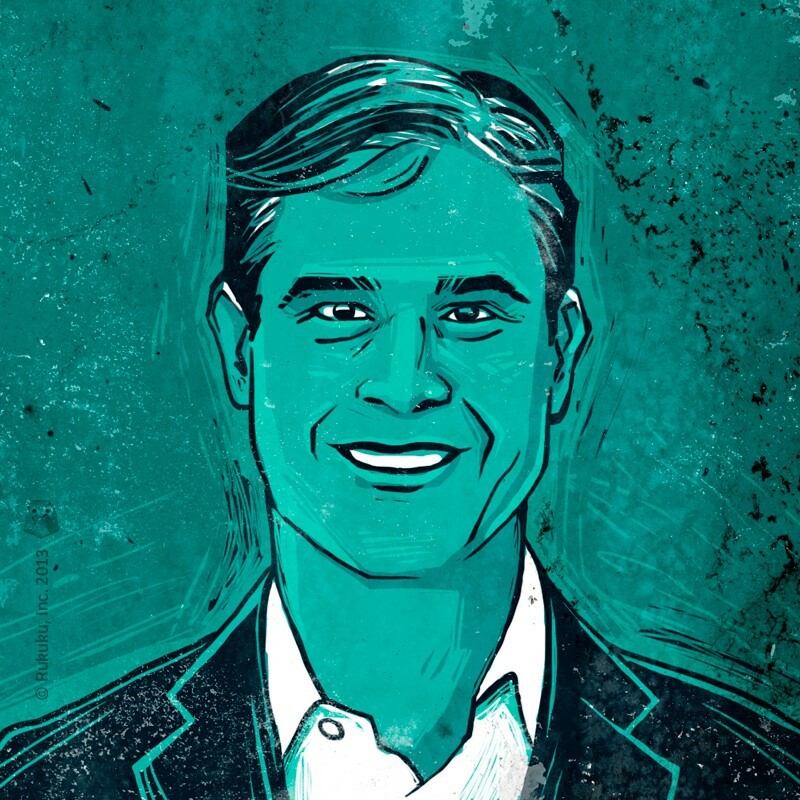 Michael Horn is co-founder of the Clayton Christensen Institute and serves as the executive director of its education program. Q: Looking at all the various levels of education, including corporate training, higher education, secondary and primary education, where do you see the most disruptive changes taking place? R: In many ways the corporate training market had its first wave of disruption in the late 90’s and early 2000’s during the first dot com boom. We are now to the point where we are seeing a version 2.0 of that disruption in corporate learning markets with folks like Rukuku helping people create online courses quickly, take many courses, meet training needs internally, find employees or whatever it might be. Secondarily we are seeing activity in a lot of informal spaces, like the skill-based companies that are popping up. So, I think we are starting to see a second disruption take place in the corporate learning world. Massive disruption is definitely happening in higher education, less in respect to MOOCS at this point and more from places like Southern New Hampshire University that has introduced competency-based online learning program. University Now has one of my favorite competency-based online learning programs, as well as Western Governor’s University. Players like that are creating a wave 2.0 of disruption in the higher ed space. In K12, a lot is going on but it is more at the classroom level and less at the whole school level. I don’t see a lot that leads me to believe that schools are going to get disrupted anytime soon. Q: Personalization is a big selling point for Edtech. Each student can learn at his or her own pace. How does that fit with traditional idea of the classroom environment? R: I think the traditional classroom environment is going to struggle quite a bit. It was built to batch up students, lecture to them in the same way at the same pace and so forth, and therefore it is inherently not suited for this personalizing learning world. Traditional institutions are adopting some of these innovations and layering them over the traditional classroom. I think we are going to struggle to see the dramatic leaps in personalization that we might from online learning simply because it’s not what those schools and colleges are trying to do or were built to do. Q: Do we sacrifice anything in terms of social education, the general getting along with people sort of stuff? R: In the K-12 arena and primary schools in particular, the majority of the growth in online learning is happening in blended learning environments. The reasons for that are straight-forward as opposed to higher education. Students at that age really need a safe place to go and learn. That’s a large part of the reason we are seeing this current blend of learning. One of the surprises as I walk into blended learning schools is the amount of socialization taking place. Students might be working individually at their computers but they are constantly bouncing up to peer tutor each other and answer questions. It frees up the teacher to spend more time setting up projects with small group instructions for students to work on with each other. In many ways, the traditional education system does the socialization job pretty poorly because if you remember back to the experiences a lot of us had in middle school, at least for me, a lot of the social stuff that was going on was pretty negative in nature, such as passing notes around, trying to get out of the lecture with other students, and destructive things like that. What I have been stunned by is how much the interactions I have seen in these blended learning environments are really positive social ones structured around learning. I think it’s enormously more productive. Q; You’ve written much about the difficulties for universities to manage both research and teaching. Do you anticipate these two functions diverging? R: Outside of the elite universities, I think that is correct. Those functions will really get unbundled and people will realize that the best researching places are not in fact the best teaching places. Activities can be done differently because information doesn’t have to be centralized and so closely bundled with research anymore. It’s an open question on what will happen in the elite universities. The major question that people are not talking about as traditional institutions change is about research. What is the right model to incentivize really good research in a sustainable fashion going forward? It’s not clear to me that the current university model is right one. It’s a very serious question for the world because so many great advances come out of the basic research done in these places. How can we make that even better? Q: Would that have implications for intellectual property rights? R: Yes, absolutely. People have not given deep thought to what parts of university research should be able to be monetized. It is property that you really create and intellectual ownership gives great incentives. Other research may not rise to that level or may be in such an early stage that actually having a more open source look at it would be more useful. Q: What people or profession do you see being most radically changed by technological changes? R: I think it’s going to be difficult, to be candid. There will be lots of roles for teachers. In fact, the number of teachers may even increase. But as we have traditionally defined them, the mid-level professors that are really focused on research and view teaching as a convoluted part of the job, often having to make these weird tradeoffs between the two. That function may go away in the years ahead and I think it will be a difficult transition. Q: What can students and parents do to take advantage of some of the opportunities offered by online learning? R: It’s a huge opportunity for parents right now to really be able to drive their children’s education, to navigate all the low cost opportunities and be able to expose their children to so many opportunities that previously were limited by their zip codes. My colleague Heather Staker has written a fair amount about this and about how parents can opt out of some of the traditional ways of doing education and think about this in much more expansive and exciting ways. I think it’s an unbridled opportunity for enterprising parents. For students who are trying to excel in schools, MOOCs could be interesting also. For example, if I am a high school student, I suspect passing MIT physics would look more impressive to a college than getting a five on the AP exam. So, thinking about how to harness those opportunities is quite interesting. Q: Any other interesting trends that you feel like deserve more attention? R: I would add that, in K12, we are seeing tremendous growth in blended learning. The question is, how do we help districts manage this growth in smarter ways to incentivize a focus on student outcomes? At the higher ed levels I think lot of the oxygen has been taken out by what’s going to happen to traditional institutions or MOOCs that have been affiliated with traditional institutions. An interesting question is: how do we shed more light on what some of these alternative mechanisms are for creating programs that are useful for students? And lastly, how do we help people understand that in a lot of these contexts, employers really are the end customers? A lot of the work, like Rukuku does, in connecting those nodes is something that has been overlooked somewhat in the dialogue. Q: You’ve said many times that the current online learning structures, especially Massive Open Online Classes (MOOCs), don’t have quite what it takes to disrupt traditional education. Why not? What’s lacking? R: A couple of things are missing so far from the innovations that we have been seeing in the higher education space to make them truly disruptive. One of them is finding a real business model that allows sustainable growth and activity in the space instead of simply putting something out for free and hoping that a business model will eventually come together. The second thing we’re seeing is that for these disruptions to ultimately be successful they have to solve a really important job to be done in the lives of employers or students or someone along the chain that is involved in education. A lot of them haven’t focused on solving that important job, one that’s really pressing. My sense is that those that are moving toward working with employers are starting to understand this better than others right now. Q: Student assessment is one of the big challenges with MOOCs and digital learning in general. How do you see this issue being addressed, currently and in the future? R: I think a couple of things could happen. First, to the extent that entities are partnering directly with the institutions themselves, they can together build specifications that, if the student passes and shows mastery, then employers will say, ‘yes, that looks like student success.’ That’s one way that might get solved. Second, I think you will simultaneously see independent assessments or consortia pop up whose purpose is to verify learning in an independent and objective way to help further competency-based learning. That’s the second thing that we will see coming out more and more. Q: The college accreditation system is an obstacle for many online learning companies. Do you see that system evolving and/or a new system emerging? R: In the short term, the college accreditation system is a barrier for a lot of this. The system is trying to evolve, but more likely we are going to see a new entity go around that accreditation system. That system was built for what it does today and it was quite successful in many ways in solving the set of problems that it did. But it’s antiquated for many of the problems we are talking about now, and the lessons from disruptions are pretty clear. It will be difficult to transform it into something that we want to solve these new, modern problems. Q: How important is government policy in this process of disrupting education? R: Disruption will happen regardless of what policy does or doesn’t do, but whether that disruption is positive or not, whether it really transforms the factory model of education into a student-centered one, that’s the huge question. Policy will shape and dictate that, to some degree, because policy incentivizes what sorts of programs are put in place, whether they in fact focus on student learning outcomes, and what the student learning outcomes that we care about are. Historically policies have been very focused on input-based ways of thinking about that, and accordingly we have very input-driven programs as opposed to ones that really prioritize learning outcomes. In the higher education space, it will have a lot to do with how fast this disruption takes place. Policy could slow it down or could speed it up and make it focused on quality, if the right incentives are put in place. Q: Do you see any signs of progress? R: The Department of Education is starting to create waivers for competency-based learning programs that almost run around the accreditation organizations that are in place. Also, the dialogue has improved quite a bit around the potential of online learning. I think those are positive signs. On the negative side, we have a fractured way of looking at the for-profit universities that have come before this wave, the innovation of the space over the past 20 years. The dialogue has broken down into for-profit equals good or bad, rather than a more nuanced look at the way the government’s policies actually incentivized poor behavior from some of these for-profits. Looking at the good behavior that they actually did do, I think the question ought to be not good or bad, but how do we take the innovation that happened there and is now happening elsewhere and marshal it toward a higher good and not repeat mistakes, rather than create a polarized debate. Q: In the past, you’ve mentioned overseas markets as areas where large, open classes can really have impact. What do education companies need to go to properly realize that potential? R: I think MOOCs can be helpful for emerging markets where there is lots of non-consumption, where lots of people need college education, where a liberal arts education is still in demand. MOOCs can help from the content point of view. The dangers are companies just assuming that the US-based courses will naturally be the things that help in those contexts, rather than really embedding themselves or working with partners who deeply understand those contexts to create things that are relevant and useful for those people. It’s going to be really important and challenging for folks in the US to create platforms that solve those problems in those contexts. There is huge opportunity but it will be very difficult as well. In the second part of this interview, to be posted tomorrow, Michael looks more closely at how technology is influencing education at all levels, from primary school to corporate training. Stay Tuned! 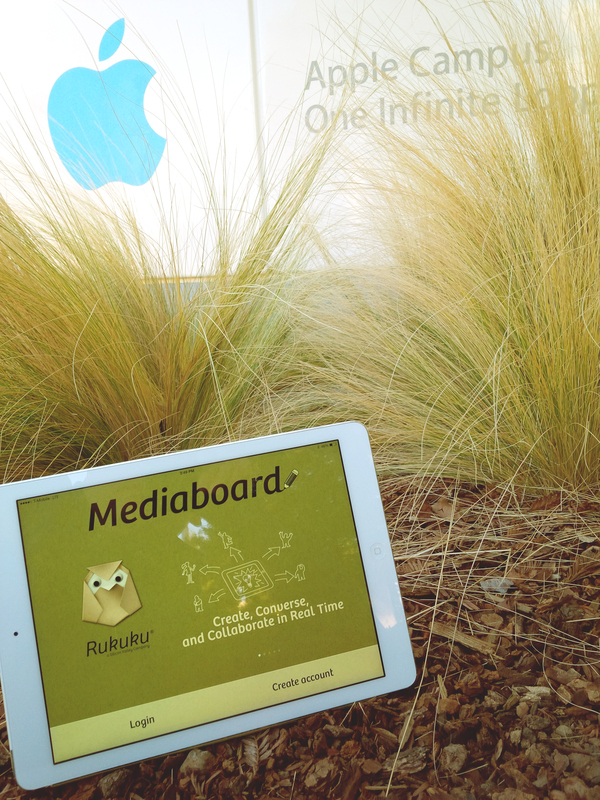 Rukuku Mediaboard For The iPad enables voice and image collaboration for groups. Free! Our first iPad App is now available in the App Store! Rukuku Mediaboard is awesome: speaking and sketching in groups has never been easier. When you download and install the app, make sure to allow the App to access your iPad’s microphone and contacts when you first fire it up. Once you are registered with Rukuku, invite your friends, students and colleagues using the Invite icon in your media board. Enjoy the conversation when they join. Here is a link to the original post, compliments of Cheap Online Degrees. Learning assessment is an essential ingredient of education in any form. Teachers can gauge the progress of their students and identify topics and skills needing more review. Students also learn from the process by challenging themselves and determining their strengths and weaknesses. Assessment can come in several forms, all of which are easily transferable to online venues. 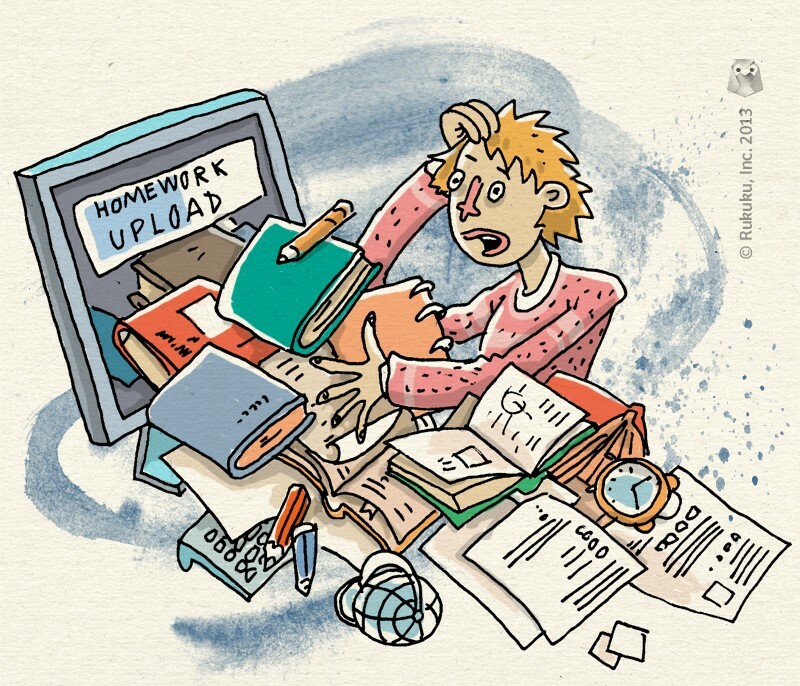 Homework is the most common form of assessment, and to maximize the benefit for your students, it is a good idea to put in some work of your own. First, communicate the goals or basic objectives for the homework, so students can see the bigger picture and understand the relevance of the work they are doing. Second, encourage students to pose questions to the class bulletin board rather than sending them to your personal email. In this way, other students, which may have similar questions, can see your responses and join in the discussion. Once you’ve collected some of these questions and your responses to them, put them together in a single Q&A document and include it for reference with the homework assignment in future classes. Speaking of reference, include links in the homework for students to find further background information and/or illustrative examples of how students have responded to similar homework tasks. Quizzes are another great form of assessment, and Rukuku plans to introduce a special quiz building feature to its Composer service in coming weeks. For online classes, teachers can take advantage of technology to randomize questions. This will reduce chances of students improperly working together but more importantly, it will allow teachers to offer multiple tests to a single student covering the same material. Students can solidify their understanding in this way and prepare for final tests. Finally, personal interaction is a great form of assessment. Good old fashioned question and answer sessions help teachers determine how well students understand the class material. At Rukuku, we’ve made a point of emphasizing small, private, online classes, or SPOCs. With smaller class sizes, teachers can build a personal relationship with each student and hopefully get a sense during class time of his or her level of understanding. If a particular student is struggling, consider a private chat, where you can work with him or her on the material. Personal attention goes a long way.